Reluctance is nothing but just an inhibition to face the person in reality with whom you can talk casually in the virtual world. And confusion arises from the fact that most of the times our perceived notions about the person might not be true and the personality can turn out to be something different. In my case it happened with my acquaintance to Vidya Sury. When I read her posts, I imagined her to be a happy person with an air of authority that senior people have around them. But when I met her personally, I found her very happy, casual and smart woman, having a young and evergreen heart. As I read her post now, I can feel this person with her positive vibes is growing on me. So I feel grateful and delighted in joining her Gratitude circle because I know it'll help me in becoming the kind of person I would like to be - a happy person who can light up any atmosphere around her :) Showing gratitude for things we have make us realize our blessings and not crib about things we don't have. 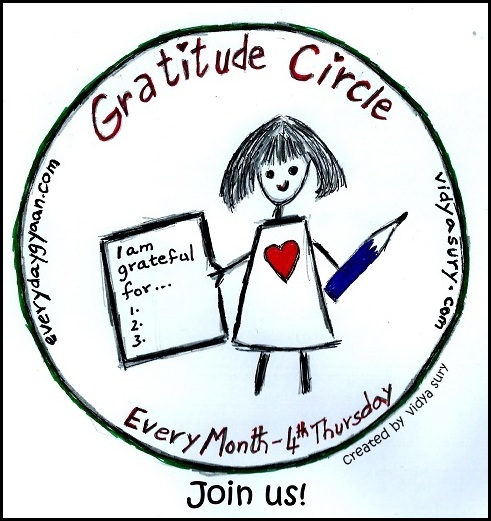 So here come my gratitude list for the first time for the month of September and I hope to do this regularly now. 1. 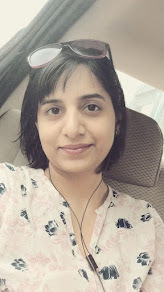 An Evening of Live Sufi Music: My husband appreciate music as much as I do and hence, when we attended the sufi music concert by Mukhtiyar Ali, hosted by Ranjani Fine Arts club at our neighborhood, I felt grateful that this is something that we both enjoy. The renderings by Mukhtiyar Ali took us to an elevated level where existence meets spirituality and I felt an immense joy to hear him singing "Man kunto Maula", as this made me remember my pregnancy days when I would often play this beautiful composition by Amir Khusro. Here is a pic of the concert from Ranjani's page. 2. September also means birthdays of two of my best friends and I am grateful that we are still in touch with each other. We were in school together and then happened to complete our post graduation from same University, same batch. Though I am quite active on social networks, yet when it comes to real life I have few close friends and they both are among those. From the days when we were single and would often share dreams like how-i-like-my-would-be-to-be to the present day when we all are mothers to cute, little toddlers and have caring husbands.Our conversations are now mostly about my-little-one-is-upto-this-these-days! I am grateful that I have a bunch of friends like them and they are one reason that I happily look forward to the coming years as we age together. We all need to be in touch with not many but at least few good friends from our childhood as they carry a part of us in them that helps us in keeping track of ourselves. 3. 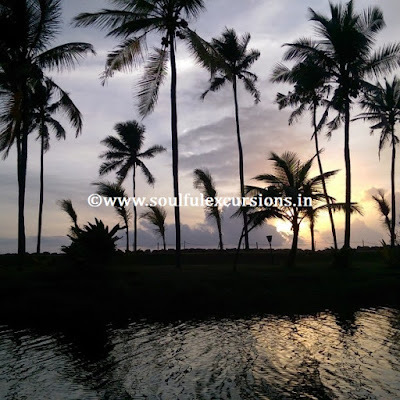 A trip to Kovalam: Another wonder of September I experienced was a trip to Kovalam. Yes, Kerala once again. This was a surprise planned by Piyush and I am again grateful to him for that. I am completely under the spell by the beauty of interiors of Kerala. And just like Kumarakom, Kovalam bowled me over with its coconut trees forest and seasides. 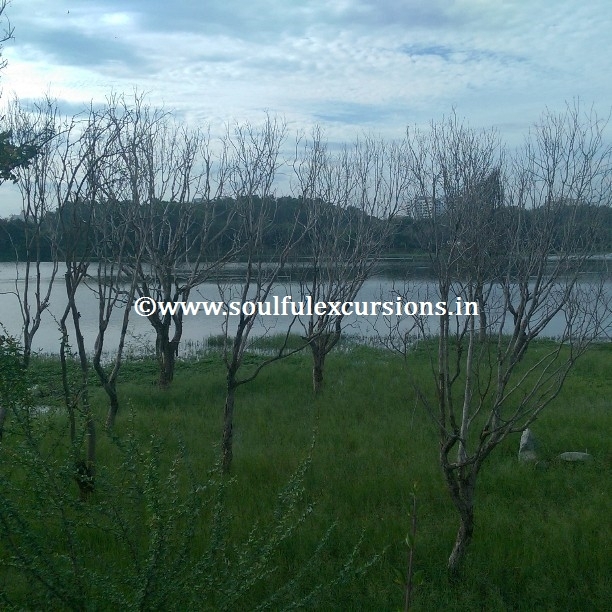 We were there for 2 days to marvel at the magic woven by nature in the shades of green and blue. 4. A temple visit : I have stopped being too religious since a long time and my beliefs in rituals are diminishing over the years with my preference to travel to scenic places to admire nature as work of God instead of going for shrines and places of pilgrimage. My belief is going stronger that when God is everywhere than why to believe in monopoly of just few places. But at Kovalam, I don't know why suddenly I felt this desire to visit this temple - Shri Padmanabhaswamy Temple. It was in a long time that we visited such religious shrine but it was worth all the struggle. The 2 minutes that we got to spend in front of the famous Vishnu idol in his Yogic sleep posture, gave us quite a spiritual experience. Both Piyush and I felt immensely grateful that we made this sudden plan though it was very unlike us. I would be soon writing a post about this on my travel blog. 5. Art classes with my daughter: This month I have also started doing art with my daughter. Thanks to another wonderful college time friend who inspired me to do this. As you must know, I have this artistic streak in me that often goes into hibernation courtesy my laziness. I feel wonderful spending everyday almost an hour with my daughter teaching her about colors (or may be its the other way round). A full post on this too soon. 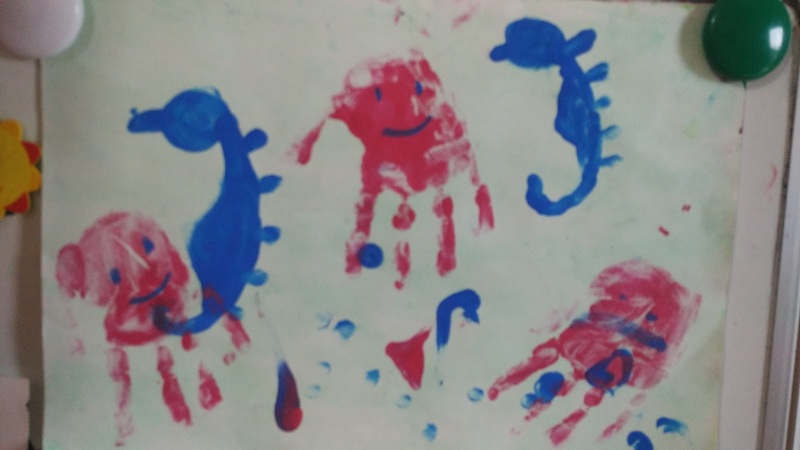 For now enjoy our art work of seahorses and Jelly fish - finger and palm painting using poster colors :) You can try this easy artwork with your kiddo too. Its so much fun and trust me kids bond very well during such activity. 6. A lake brought back to life: Bangalore is a city of lakes but sadly in our country where beautification takes a backseat with all of us having screwed priorities, most of the lakes here are in pathetic condition. Thankfully when all the hopes are dampened, certain incidents or movements happens that elevate the spirit - one such case is the revival of Kaikondrahalli lake which is now a beautiful and natural hanging spot for the citizens bang on the main road towards Sarjapur and which was given a new lease of life few years ago by the combined efforts and initiatives of residents nearby, NGOs and authority. The result is in this busy city life bustling with maddening traffic we have a place so closer to our homes where we can jog, play with our children, relax with family, look at chirping bird life. On weekends when I go there with my husband and daughter, I feel grateful that this lake is breathing again. 7. Movies and Hollywood: And now the final thing I am grateful for in the month of September - Hollywood. Yes, I am grateful to Hollywood that they make amazing movies. We watched The Scorch Trials and the movie kept me at the edge of my seat. Though it should come under horror genre with all its zombie thrills, but overall I was hooked to the adventure. And with that I realized that Hollywood has brought to life so many creative works of great and good writers. Every time I watch a good movie, my own creativity feels like being fed by a nutritious diet. It happened when I was watching LOTR or How to train your dragons. I am grateful that we have so much talent around! That's it for September ( (I could recall only this much as it's my first gratitude post :P ) from my side. Now it's your turn tell me what all things you were grateful for in this month in the comments below, be thankful to almighty for those and share the joy.